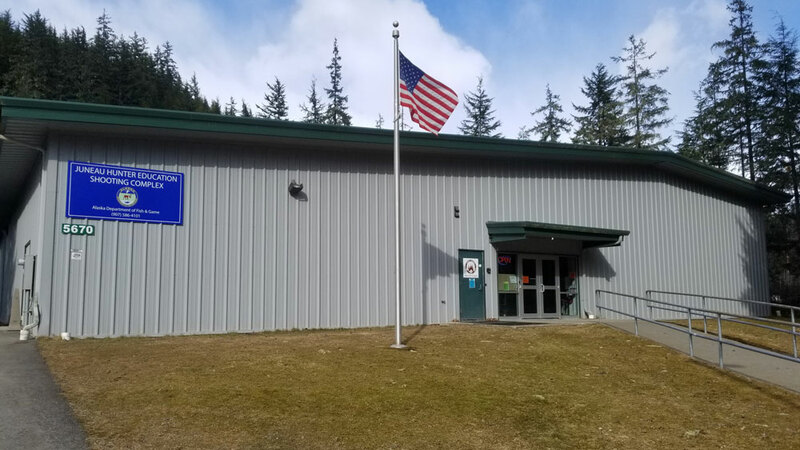 The Alaska Department of Fish & Game Juneau Hunter Education Shooting Complex (JHESC) is now open to the public. The priority use of the facility is for hunter education and firearms training. Our public shooting program and marksmanship program are maintained to the extent possible. The range is a first-class educational and recreational facility for Juneau and surrounding communities. It is located at 5670 Montana Creek Road. Call 907-586-4101 or email dfg.dwc.jnu-range@alaska.gov for more information.